Shhhhhh…. don’t tell Grace but I’m posting the card I made her early! Ha ha! 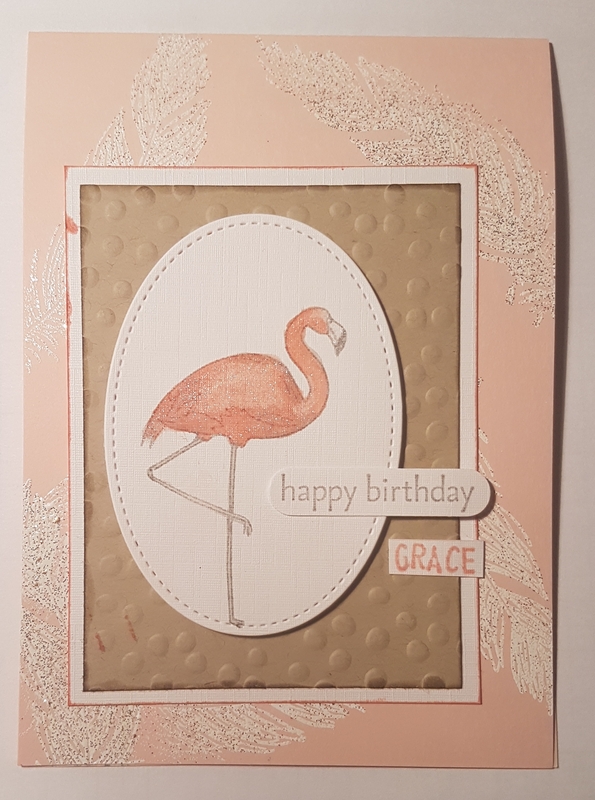 This is a card for one of the princess’ friends who turns 12 tomorrow and is slightly flamingo obsessed! 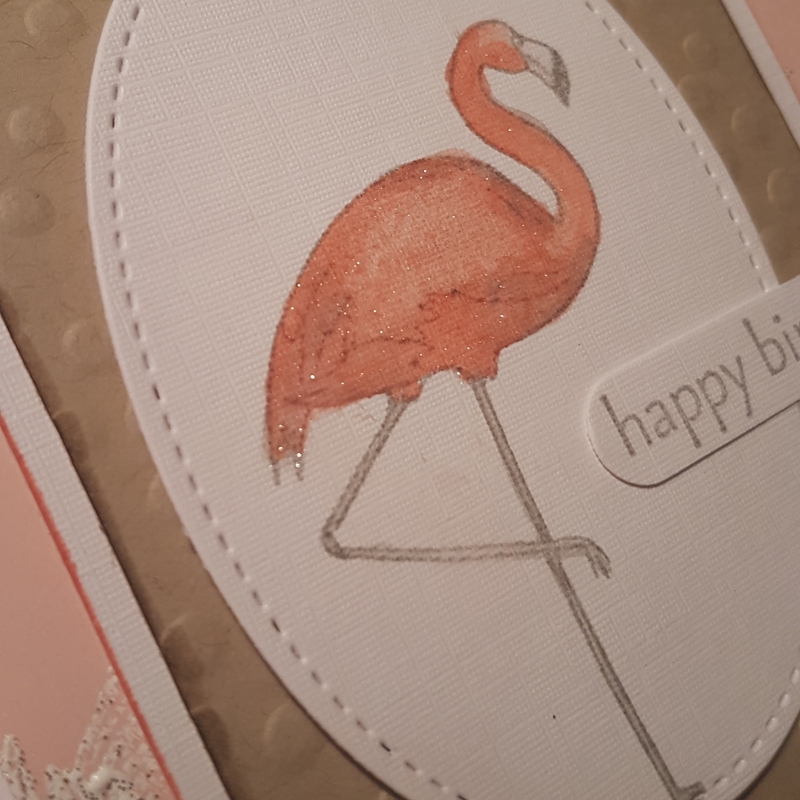 I’d love the SU flamingo stamp layering set but didn’t have time to buy it ready for her birthday…. doh! Maybe for next year’s. 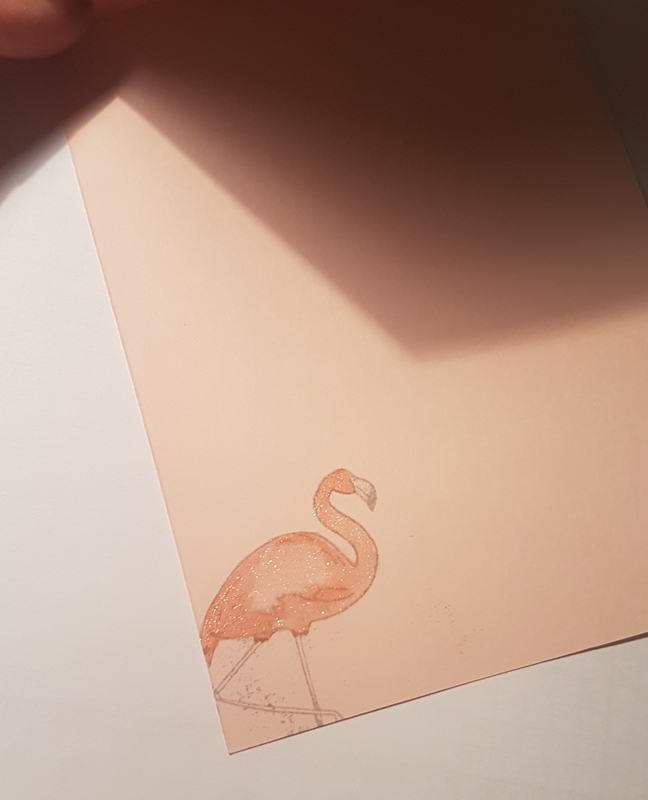 So instead I stamped in smoky slate and added colour using the retired but still one of my favourite inks… Crisp Cantaloupe. Once it was dry I added wink of stella over the top. I die cut the flaming using the stitched shapes and then layered up with some crumb cake which I embossed using decorative dots folder. The background of the powder pink cardstock I added some feathers which I heat embossed with frantage to add the glitter and white texture. Then I added the sentiment and her name. Inside the card I stamped the flamingo again and then coloured and added the shimmer. Happy with how this came together and will definitely be using this fun stamp again.